1652 Highway 52 N, Rochester, MN 55901. 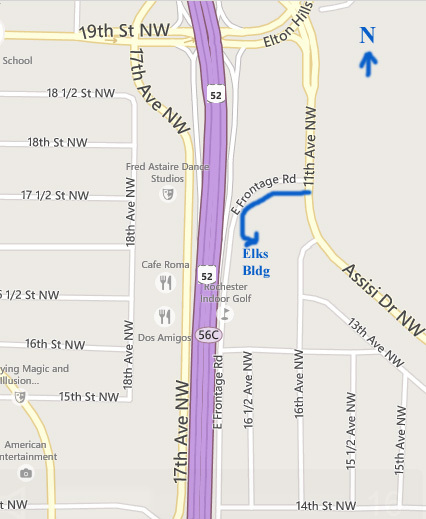 Click here for Map to Rochester Elks Lodge 1091.
projects. Our current and past newsletters also provide a vivid description our our monthly activities. Walk-in visitors are always welcome at our meetings. Join us in our mission as "Kiwanis is a global organization dedicated to improving the world one child and one community at a time." Christmas Anonymous 2015 - Photos, CUMC, Kiwanians and others make a "Merry Christmas for all." December 12, 2015. Senior Discount List - 118 Senior Discounts available just for the asking. Charter Circle K-UMR and Builders Club of Golden Hills - Chartered on March 14, 2013 by Day Makers and Sunrisers. Day Makers Birthday Party 2012 - 18th year of club, group photo. 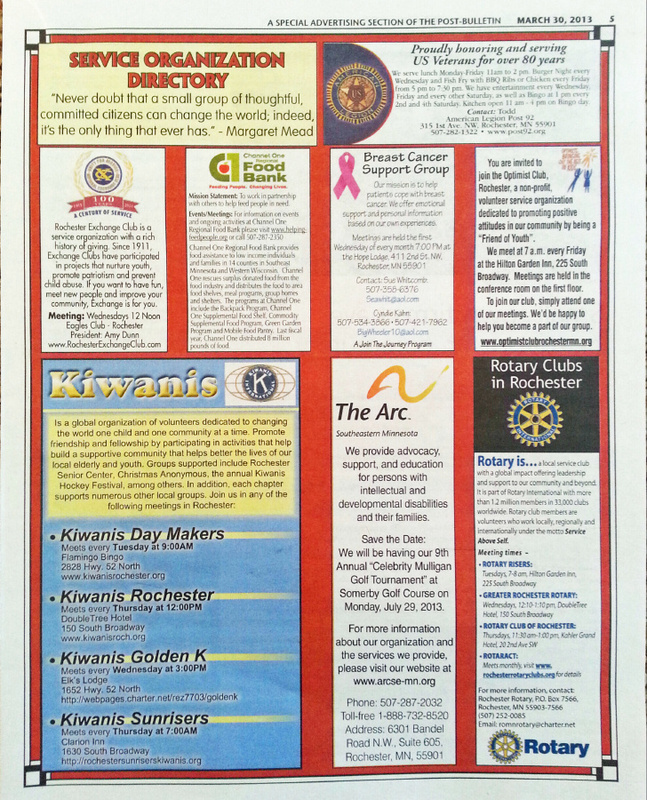 The Rochester Kiwanis Day Makers Club assumes no responsibility for any sites linked to/from its Web site, has no obligation to edit posted submissions, and reserves the right to edit, rewrite, and delete content that it deems inappropriate for any reason. Copyright 2004 Day Makers Club. All rights reserved. Page last updated by Richard Odell ( rjowriter@aol.com ) on 03/31/2019. Your input and comments on how to enhance our web site efforts are welcomed and appreciated. 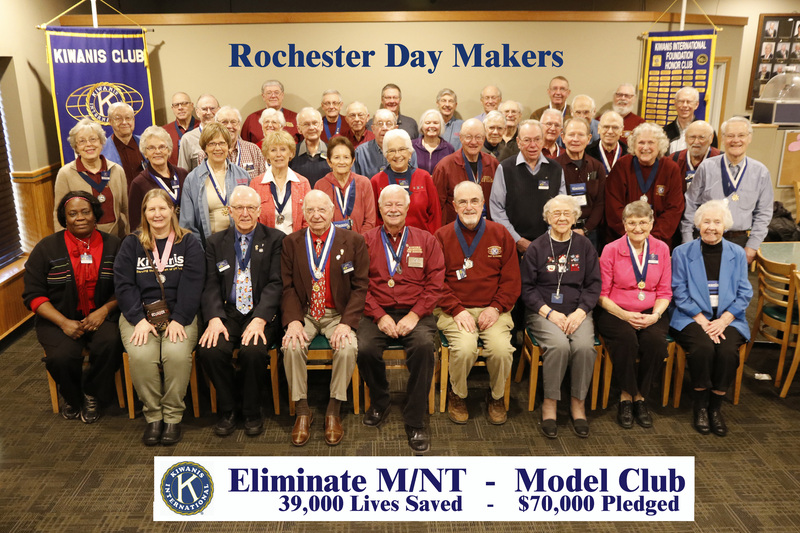 This web site maintained by Kiwanis Day Makers Club of Rochester, MN.